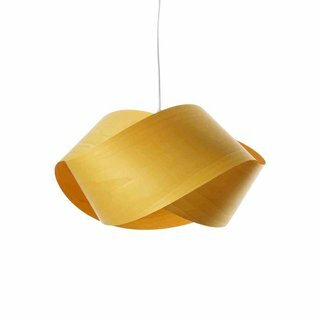 The LZF Nut Pendant uses the most minimal twist and turn of a ribbon of wood veneer to create an elegant, intertwined silhouette. The simplicity of the shade's design creates an airy appearance, while the overlapping wood grain texture confers a pleasant warmth and glow. The Nut Pendant features a Natural timber wood veneer shade in a variety of colors and Brushed Nickel canopy.